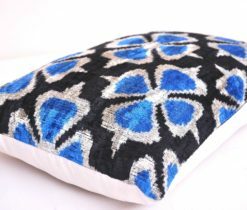 View cart “Velvet Accent Pillow Blue” has been added to your cart. 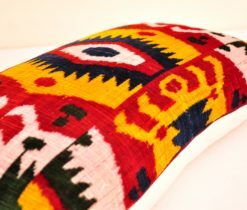 The Eastern world, so fascinating and charming, that it will certainly entice you into its world and turn you into an amateur of its creations. 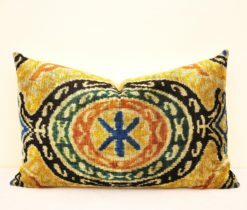 Among these creations there are world-famous oriental carpets, plates, miniature paintings, as well as pillows and decorative pillows covers. 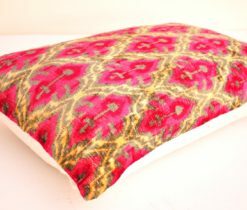 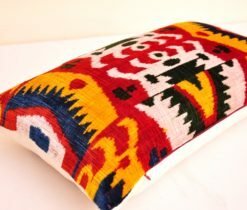 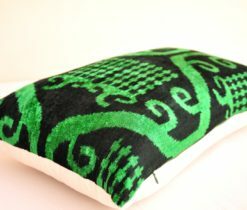 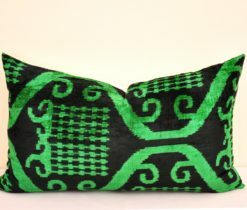 The design of velvet pillow covers embodies the flight of the master's fantasy, the variety of shapes and uniqueness of colors makes this symbol of home warmth and comfort truly exclusive. 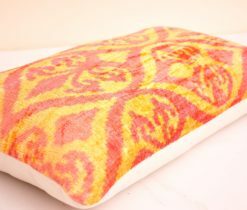 If you want to bring a good mood and bright colors to your home, then we offer you velvet pillow covers of juicy colors that allow the interior to play with new colors in the house. 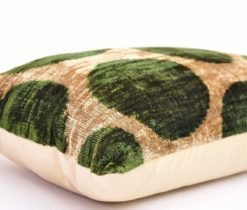 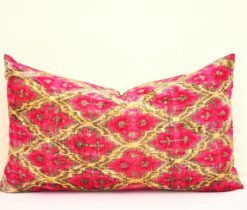 Soft velvet pillow covers have a natural silk pile, and the base is made of silk and cotton. 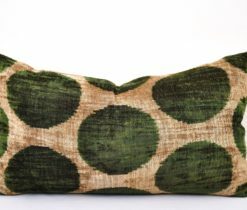 For several centuries, velvet cushions and pillow covers have formed one of the parts of our cultural heritage, while offering a stunning addition to any modern home. 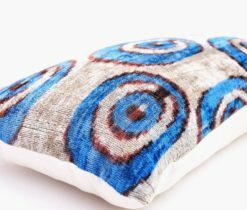 It's pleasant to return to a cozy and comfortable house, filled with elements of home textiles, bringing in the same notes of domestic warmth. 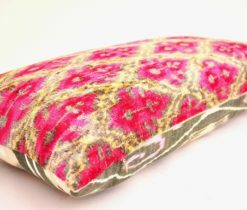 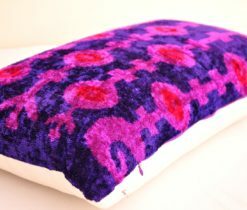 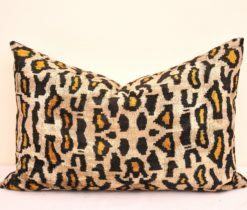 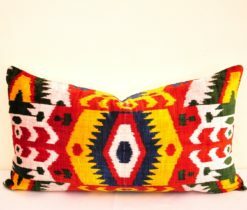 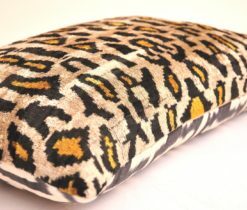 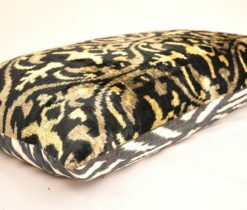 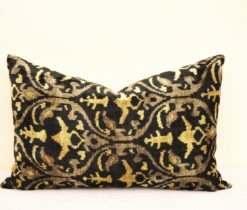 Original velvet throw pillows, which you can buy on our online-shop inexpensively create a unique aura, decorate the interior with dignity, and make it more saturated and stylish. 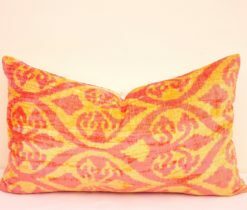 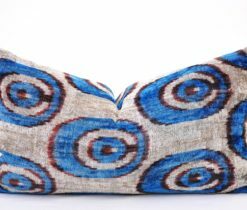 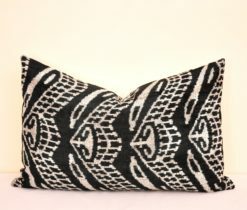 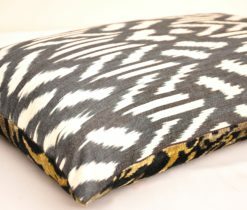 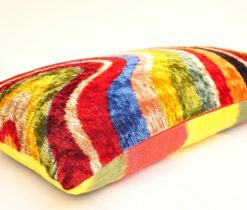 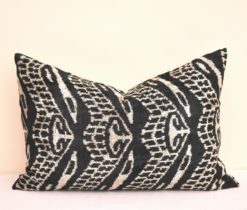 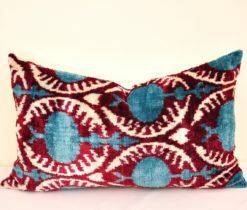 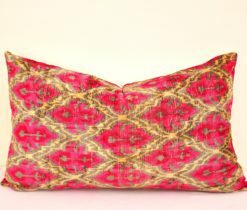 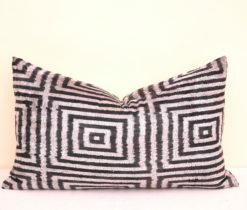 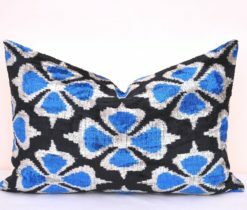 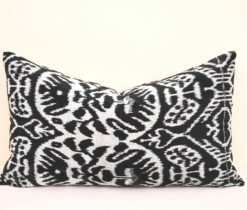 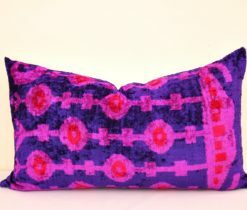 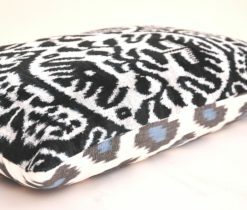 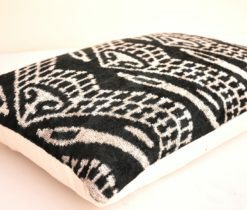 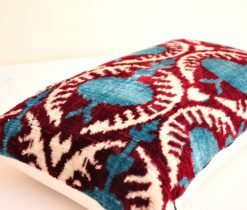 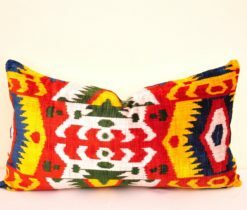 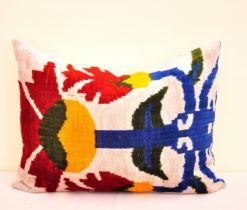 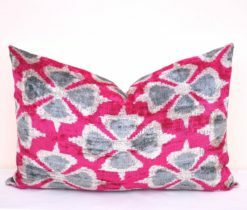 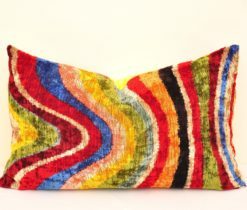 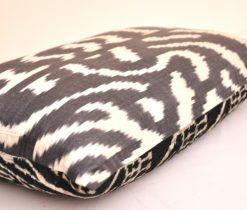 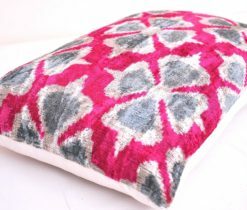 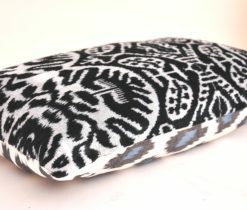 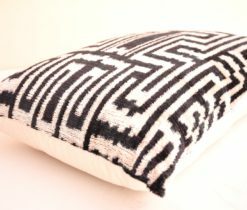 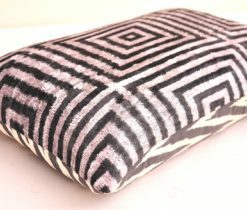 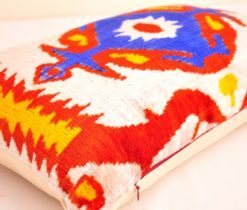 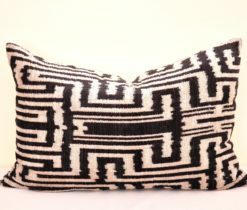 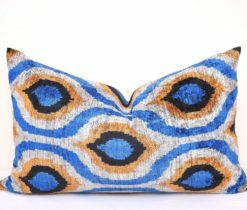 Velvet ikat pillows are not only beautiful and comfortable, but also functional. 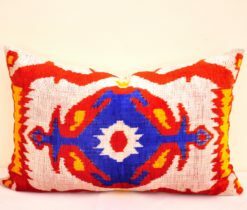 This is a stylish approach for revitalizing your interior and giving the East color to your home.